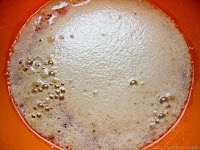 - In a bowl, add the yeast, pour the warm water in along with the salt and sugar and let it sit for about 10min to get activated. 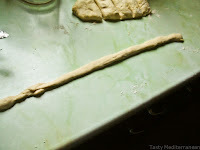 - Add the flour and melted butter and start kneading. If the dough is sticky, sprinkle some more flour on it and keep kneading till it's smooth and no longer sticky. 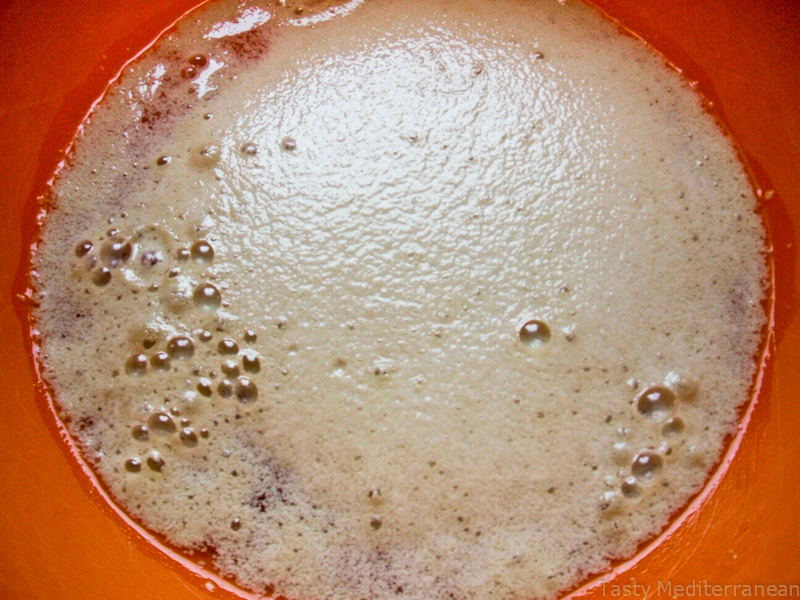 - Put it in a clean, oiled bowl, brush it with vegetable oil and put a kitchen towel over it. Place it in a warm area and let it rise for an hour. 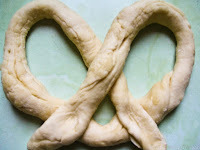 - After an hour, place the dough on a floured surface and cut it into 12 equal pieces. 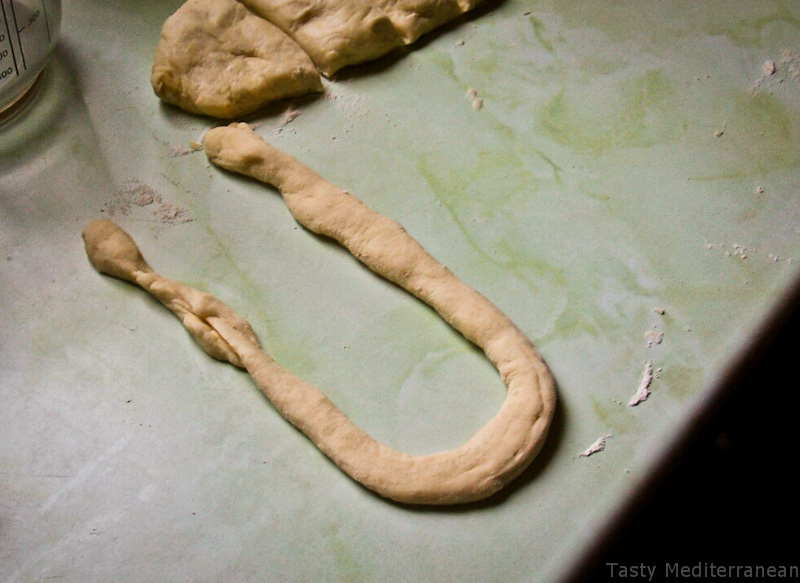 Roll every piece into a 15" rope, shape into a pretzel and put it on a greased baking sheet or parchment paper. 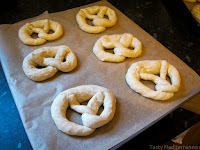 - Let the pretzels rest for 20min (covered) while preheating the oven to 230 C.
- Bring the 5 cups of water to a boil, mix in the baking soda, then place 1 to 2 pretzels in for 1min. Take them out and put them back on the baking sheet. Baking soda gives them a rich brown colour. - Once they are all out of the water, sprinkle some salt on top and pop them in the oven for 15-20min or until golden brown. Enjoy! * Freezer tip: Let them cool completely, freeze them and once you want them again, stick them in the microwave or oven. 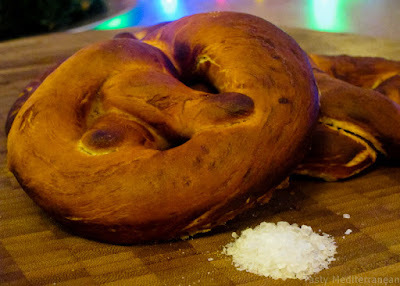 ** You can still make the pretzels without baking soda. To give them a golden colour, brush them with a beaten egg before baking.